Hans has helped thousands of people. The three Intuitive Development Classes in this course form the basis for personal communication with Spirit. Upon completion, you will have hands on experience with requesting and receiving information from Spirit and will understand how to use Guidance in your everyday personal decision processes. * Over 7 hours of class time. * You will receive the Video AND Audio recordings of the live class, which have been professionally edited. * We've separated out the exercises so it's easier to use them for your guided meditations. 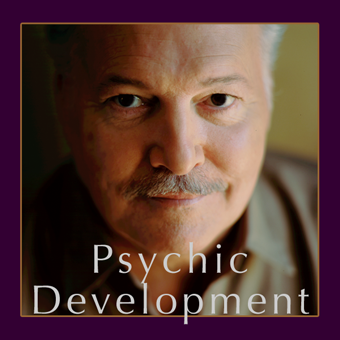 Details: Psychic development is spiritual development. Intuition is the natural ability inherent in every living being to communicate with Spirit. from Spirit and your Angel Guides. of what Hans Christian King offers his students. that will greatly enhance your communion and relationship with Spirit. No longer will you ever approach a situation feeling alone. "I recently listened to the Intuitive Development and Relationships class last week, and I want to tell you if you think you cannot afford to buy these classes, I want to assure you, you cannot afford NOT to get them. Each time I listen to the classes, (I think I listened to Intuitive Development 4 times and Relationships 3 times) as you go through your journey in life you begin to understand Han's teachings more and more. Listening to the classes over and over encourages one to continue practicing the teachings and practice is really the key here. As I had not listened to them for a while, do you know I forgot I had a Doorkeeper? Oh my goodness, now I speak with my Doorkeeper daily and especially before going to bed to provoke dreams and visions and it really works great for me. So when you decide to purchase a class you can listen to them over and over and the information is cumulative. I love these classes. Thank you Hans and Alfred for being key players in my Spiritual development. I will continue to listen to the classes over and over and I have had indeed had many "Aha!" moments." ~ In Love and Light, Phyllis N.
​Most of us don't realize that when we experience an insight or a truth within us, Spirit will oftentimes re-enforce it - sometimes using very creative methods. It could drop a book in front of us, guide us to a radio program, or lead us to a lecture. In each case, it's about connecting us with a particular message intended to resonate with us for a specific reason. Each Soul is unique in its ability to communicate with Spirit. Because each of us has different experiences in this life and a different Dharma compiled from our previous unique incarnations, each of us will have a unique way to communicate with Spirit. 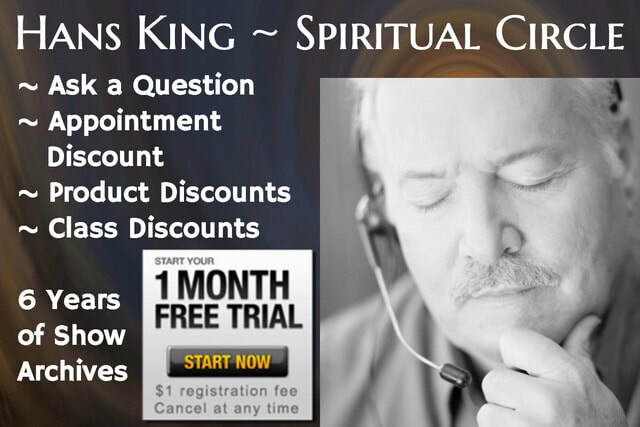 There are some common ways of Spirit communication that can be brought into your daily life. With practice you can modify these methods to work with your particular vibration. Can you learn to communicate with your Angels and Guides? Yes, you can! Hans teaches you how to talk to your Guidance and how to listen for responses from them. He will also explain how to tell the difference between when your mind chatter is speaking and when your Guidance is speaking. Ask a question each week to be answered by Hans on the weekly radio show. Join for one month for $1.00 registration fee. Cancel at any time. 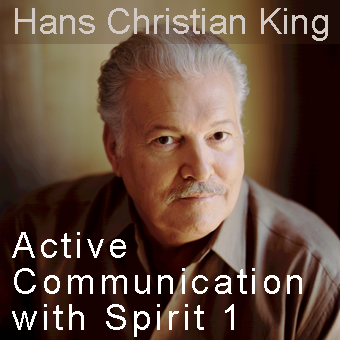 Hans Christian King is a true modern day mystic - a spiritual teacher and direct voice medium, specializing in passing along the timeless ability of spirit communication. 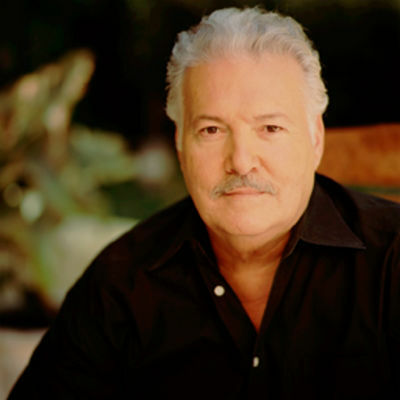 His ability to communicate with the Spirit realm and work in partnership with his Guidance has helped more than 60,000 clients in private readings over the last sixty plus years. Gifted with the rare ability to bridge the gap between the physical and the spiritual worlds, Hans literally walks in both realms. A very important part of his work is devoted to providing comfort to those who have lost loved ones, as he brings them powerful and personal messages from the other side. Hans also teaches a wide range of classes, including an intensive series of Intuitive Development classes.